Female Fronted Metal is a genre that allows and encourages plenty of experimentation, which is just as well given the way it has exploded recently. Even established bands need to apply different approaches to continue to stand out, whilst new acts need to sound different to get noticed. SilverCast are a group that seems to understand this. They were formed in 2007 and come from Russia. In 2010 their EP called 'Dancing In Silence' came out, now followed by their debut album 'Chaos Engines'. I've become quite a fan of Eastern Europe/Russian Metal having reviewed several stellar and often unique sounding albums from there. Shadowcast are a female fronted Melodic Metal band but they take the usual elements, add some unexpected ones, and whip them up to produce something unconventional. They have taken all these differing influences and condensed them into something that is both coherent and fluid. 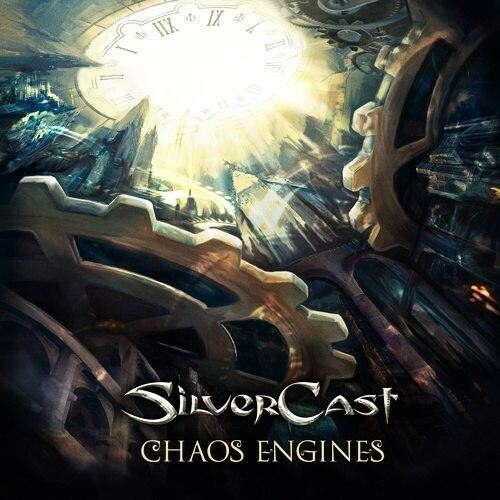 Silvercast have a certain gothic style about them that surfaces in tracks like 'The Steps Of Perfect Silence' and 'Prayer'. There is a grand choir and urgent chunky riff in 'Steps' but Silvercast adds an alternative slant through some unusual synth that compliments the guitar. 'Prayer' is a more sinister track and features mostly male vocals delivered with an unnerving growl. The eerie keys and massive riff give this a very atmospheric feel furthered by some haunting violin. They prove they can cut it in the heaviness stakes as well with 'Alexandrite' and 'Last Flight'. They have deep, bouncing progressions that are a real treat with varied synth in the latter, (including a retro organ solo), to differentiate the songs. 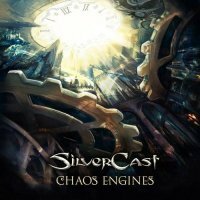 SilverCast take the retro sound a step further in 'Mechanical Heart' with that famous Hammond sound over a classic styled riff. There are also three songs in Russian that I can't even type let alone translate. These are every bit as interesting and also includes lots of little subtleties like flute in one of them and a real 80's style keys and riff in another. If you hadn't guessed, I think this is an amazing album and it continues the trend of excellence from our Russian comrades. If you like Female Fronted Metal you may also adore this unusual feast; every track is a treat and I can listen to it over and over. There are a lot of different nuisances about each song but it's never over done so that everything becomes a chaotic mess. Veronica Volskaya is a superb vocalist who has a vocal range as diverse as the music she is fronting. But it is Sergey Valerianov (guitars), Maxim Kazunka (Keys) and especially Ivan Bakulin (winds) that give this album its unique sound and are the maestros that make it all work. This is a gloriously rich and interesting album that I fall in love with the more I listen to it.